Downton Abbey, The Final Season MASTERPIECE on PBS Series Finale Sunday, March 6, 2016 at 9pm ETAfter six passionate, thrilling, and poignant seasons, the curtain comes down on Downton Abbey. How will fate—and writer Julian Fellowes—resolve the stories of Edith, Mary, Thomas, Anna, Robert, Cora, Daisy, Carson, Violet, Isobel, and all the otheroccupants of an unforgettable house? 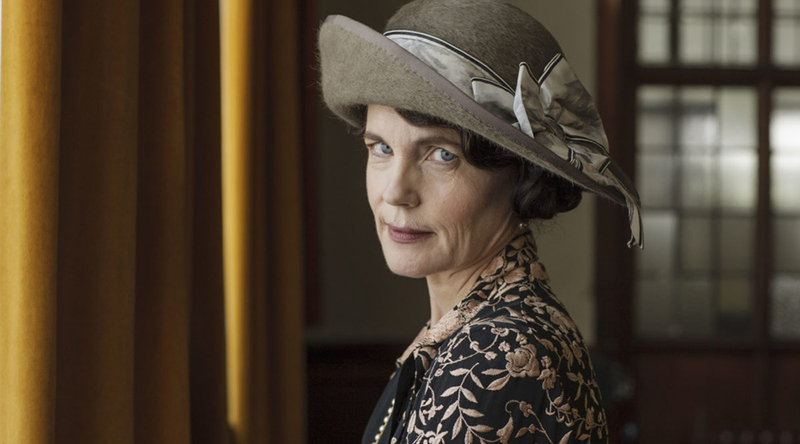 Shown: Elizabeth McGovern as Cora, Countess of Grantham (C) Nick Briggs/Carnival Film & Television Limited 2015 for MASTERPIECE This image may be used only in the direct promotion of MASTERPIECE CLASSIC. No other rights are granted. All rights are reserved. Editorial use only. USE ON THIRD PARTY SITES SUCH AS FACEBOOK AND TWITTER IS NOT ALLOWED. Η ομάδα του Downton Abbey ξέρει να διηγείται ιστορίες από άλλη εποχή. Αυτό λοιπόν κάνει και στο The Chaperone.